Boyce’s nursery is finally finished and I was so excited to reveal it on the @liketoknow.it.home handle yesterday! 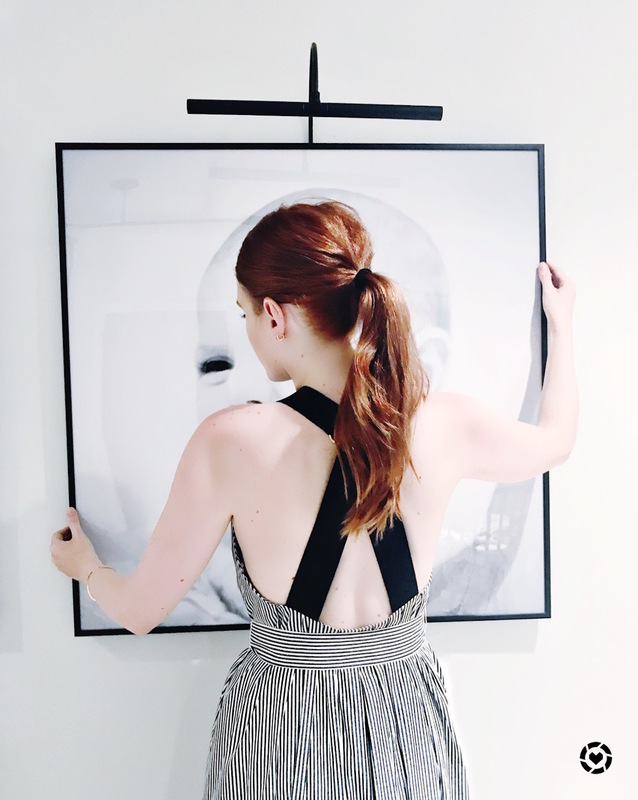 My incredibly talented designer, Stacy Hyde, helped me with the space and I am so happy she did – it is an absolute dream. When we first started, I knew I wanted the stormy wallpaper and initially wanted it to cover every wall. Stacy suggested just doing the single back wall and it created a nice feeling of depth in the space. We incorporated a day bed like we did previously in Birdie’s room. 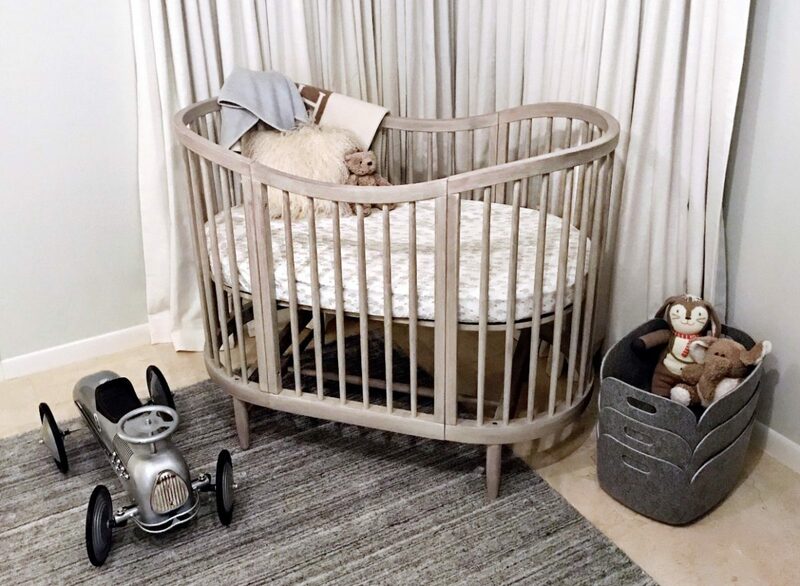 This has become one of our favorite nursery “must haves” because it is a great place for guests to hold the baby and is also a great sleeping spot for me during those early feedings. We outfitted Boyce’s daybed with a tempurpedic mattress hoping he can grow into this bed after his crib. Once we had our main pieces, we started looking for pillows to fill the daybed and rugs to fill the space. 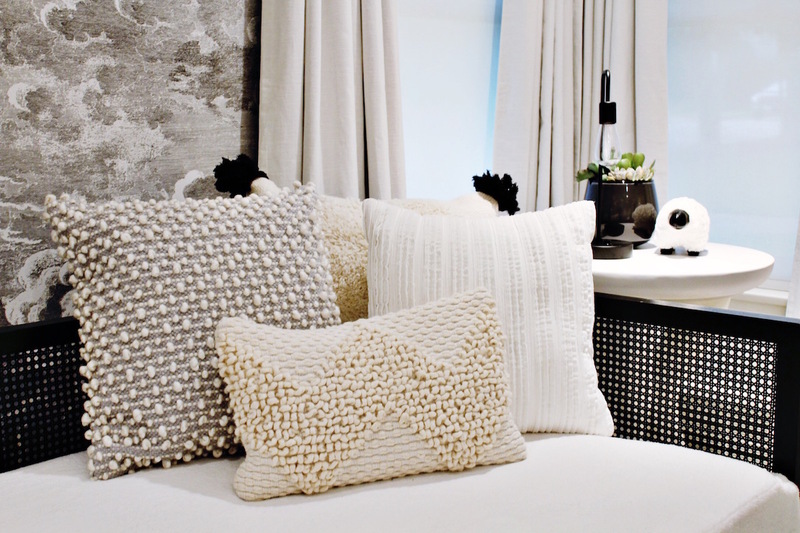 We chose this Loloi rug and pillows (these pom pom pillows are my favorite). I have this rug in Birdie’s nursery and it has held up great! Next, it was on to the crib. I wanted it to fit nicely in the corner without taking up too much unnecessary space and scored with this one from Pottery Barn Kids. The shape and neutral color are a perfect fit for the room. We also chose these beautiful curtains, this ottoman and these ducduc baskets to help finish the space. When it was time to choose the glider, Stacy helped me design a custom ducduc glider with Schumacher fabric. And I am so happy with how it turned out! A mom tip for upholstered fabrics : Scotch Guard. This stuff is a lifesaver from spills and feeding messes..
Last, but certainly not least, was the art selection. I take thousands of pictures of Birdie and Boyce but rarely ever print them out. I decided to take two of my favorite pictures of them and blow them up to 36″ x 36″ prints. I also did not want to pay a fortune for them.. framing is expensive, people! Luckily, I stumbled across this amazing website where I uploaded the images, chose the size I wanted, and they were on my doorstep in a week. 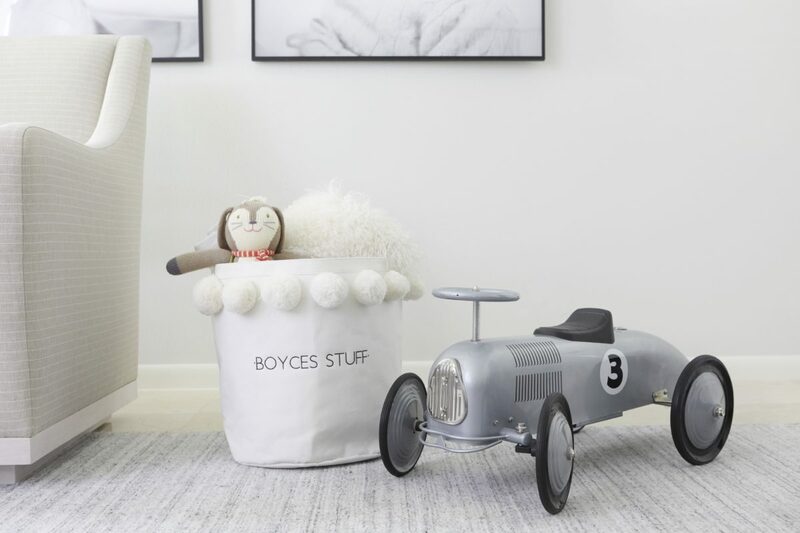 Click the images below to shop Boyce’s Nursery! The final nursery shots taken by Jill Broussard for D Home Magazine will hit newsstands on Thursday – so if you are in Dallas, be sure to grab your copy!